I actually have one of these myself. It is a great little device with a lot of features and it also allows you to get your jam onto just about any song you can think of off the top of your head! Amazon just added a new calling feature so you can use this little guy to make hands free calls in the house and I promise you will definitely look cool! The coolest feature of this device is what it can make other connected devices do. The Echo can connect to smart lighting, outlets, locks, thermostats, cameras, and even the TV. Imagine being able to turn a light on and off with an app. 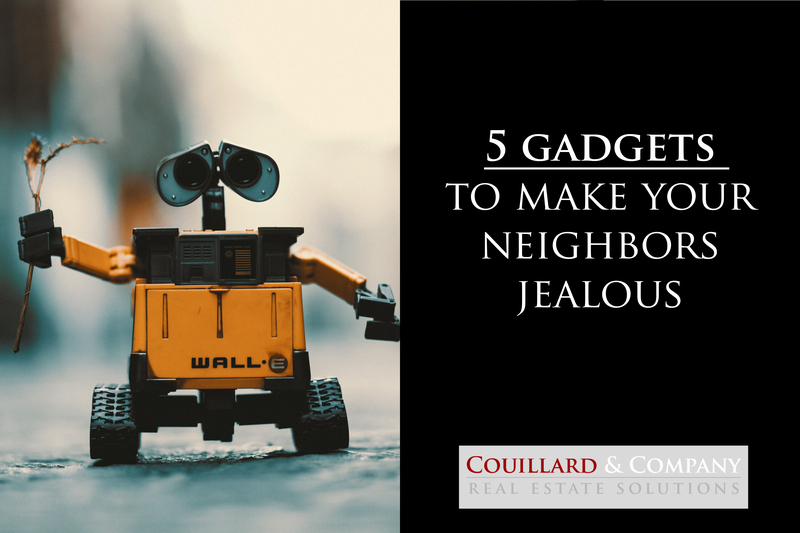 You are even able to set it up to make sure that lights turn on as soon as your phone is in close enough proximity of the device. Say you’re driving home down Veterans Parkway at 5 in the middle of winter and no one is home. As you pull up to your cold, dark house your echo device will sense your phone is near and turn on the designated lights you programmed it to turn on. Along with all of that, it also has the ability to learn lots of new skills that can be searched through on the app! First off, this plug works with the Amazon Echo so that’s a plus. I think as we start to get more and more advanced with technology, outlets are going to start becoming more advanced. This outlet can connect to your Wi-Fi and be controlled by an app. Check this out. If you are leaving your nice and comfortable home in Bloomington-Normal to go on vacation this outlet can also be set on a schedule so that you can have lights go on and off while you are away on vacation. I bet you know someone who does this right now, and I bet they need an upgrade! Christmas is coming people! Who out there has a dog or cat at home but also works full time? Let’s talk AUTOMATIC FOOD DISPENSER! Say WHAT? You heard that right. This device is cool. It again can connect to your wifi and has an app so you can control it from anywhere! You can customize meal times with the possibilities of having up to 12 meals per day. I don’t know exactly why you would need to feed your pet 12 times in a given day but hey it’s cool to know you have that option! Got a big dog, no problem. This thing can dispense up to 4 cups at a time and if you have a little guy at home it can dispense as little as ¼ cup. It has a perfect amount for any size dog or cat. To recap, at this point in the post you have the ability to control lights, your thermostat, your music, your outlets, and even the dispensing of your pets food all from your phone! These last two devices could be my favorite! I bet you have used a crockpot to save yourself the hassle of having to cook dinner. What about a SMART crockpot? Check this beast out. Once again, your phone with an app can control this and you can use the app to adjust heat and cook times! Let’s say your crockpot meal doesn’t need to cook for long but you won’t be home, you can use the app to switch it over to warm mode. Its dishwasher safe and can be turned on and off remotely. What else could you ask for? Maybe a personal chef…I guarantee this crock-pot is cheaper than that though! Drumroll, please! I have saved the best for last because this is the coolest thing I have ever seen and out of all the things on this list, you will probably buy this one! Ever heard of the Rumba? Well, imagine that as a lawnmower. Yes, you heard right! The Landroid Robotic Lawn Mower will mow your lawn on its own. Wouldn’t you rather be watching football on Sunday afternoon than mowing the lawn? I know I would be. Robots are a thing of the future but I guarantee you will stand out in your neighborhood when you let little Wall-E here, mow your lawn. This device is easy to set and should be fun to watch cut grass… at least for the first few times. All in all, these are fun little devices that will make for good conversation starters. We hope you had as much fun reading these as I did writing it!